The Ash Tree Epidemic: Why is My Ash Tree Dying? You should have your ash tree professionally removed if you’re seeing these symptoms to stop the spread and ensure you abide by the quarantine and removal regulations. 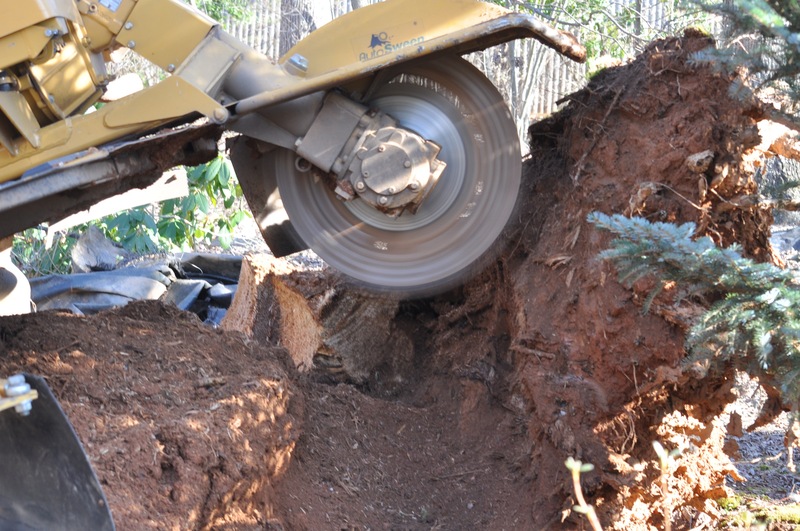 Do you need expert ash tree removal services to help you properly remove your dying ash tree and prevent any further damage? Read more information about the ash tree epidemic below. What does the Emerald Ash Borer Beetle look like? What Area is Affected by the Ash Tree Epidemic? Midwestern & North-Eastern States all the way from Texas to Maine have been affected, as well as parts of Ontario, Canada. The Emerald Ash Borer Beetle first arrived in Michigan, in 2002, and it has since spread to infect the DC, Maryland, and Virginia area since 2006-2007. How Did the Emerald Ash Borer Beetle Get Here, All the Way from Asia? 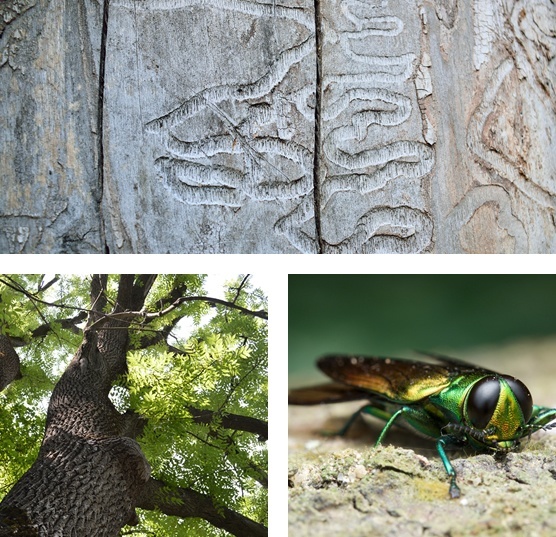 We don’t know for sure, but the Emerald Ash Borer Beetle is believed to have come from central Asia, most likely China, on a solid wood packing material used to carry cargo on ships or airplanes, to the US. How Exactly Do These Tiny Beetles Destroy My Giant Ash Tree? Adult Emerald Ash Borer Beetles only nibble on foliage and cause little damage to ash trees. The real problem begins when they repopulate. The larvae live in and feed on the inner bark of ash trees, which disrupts the ash tree’s ability to transport water and nutrients, killing hundreds of millions of trees across North America and causing the USDA to enforce quarantines and fines to prevent the spread of the Emerald Ash Borer Beetles. This is why it’s important to have a professional remove, and properly dispose of, an infected tree. What is the Proper Way to Remove an Ash Tree? In order to stop the spread of the Emerald Ash Borer Beetle, the USDA has imposed strict regulations for quarantining and disposing of infected ash trees. 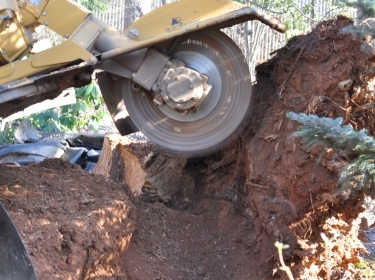 With professional ash tree removal, you can be sure that these regulations are adhered to. This is important because Emerald Ash Borer Beetles will continue to live in the wood of a dead tree. Particularly if your infected tree is located along a yard or a street, it will likely pose a hazard to your family, your neighbors, or others, as it dies. 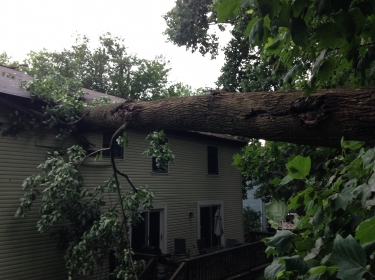 Ash trees are known for having very brittle wood, and a fallen tree can disrupt powerlines or damage your house or your neighbor’s house, potentially causing injury or leaving you liable for thousands in damage. How Can I Prevent an Infestation from Emerald Ash Borer Beetles in my Ash Trees? While healthy ash trees are also susceptible, the Emerald Ash Borer Beetles prefer to lay their eggs and feed on trees that are already stressed or dying. Making sure your trees are as healthy as they can be, is one way to lower your risk of an attack. If you already have an infestation, it is very important to get your ash tree removed and disposed of by a professional. Other steps you can take to further prevent the spread of Emerald Ash Borer Beetles can be found here. Do you need ash tree removal services?